Outrun the ordinary. Be an athlete ambassador. 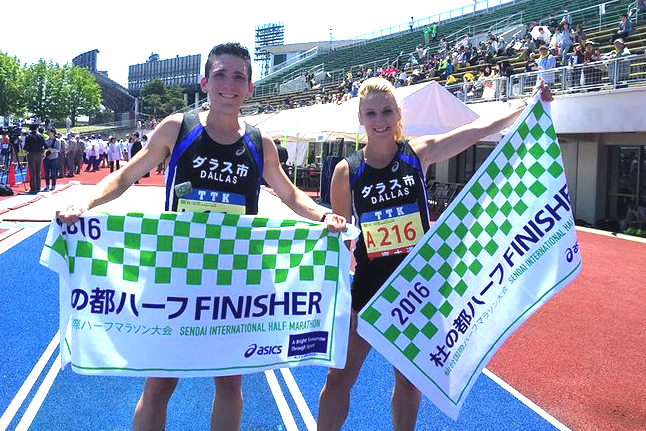 Each year, the Japan-America Society sends two runners to compete in the Sendai International Half Marathon. 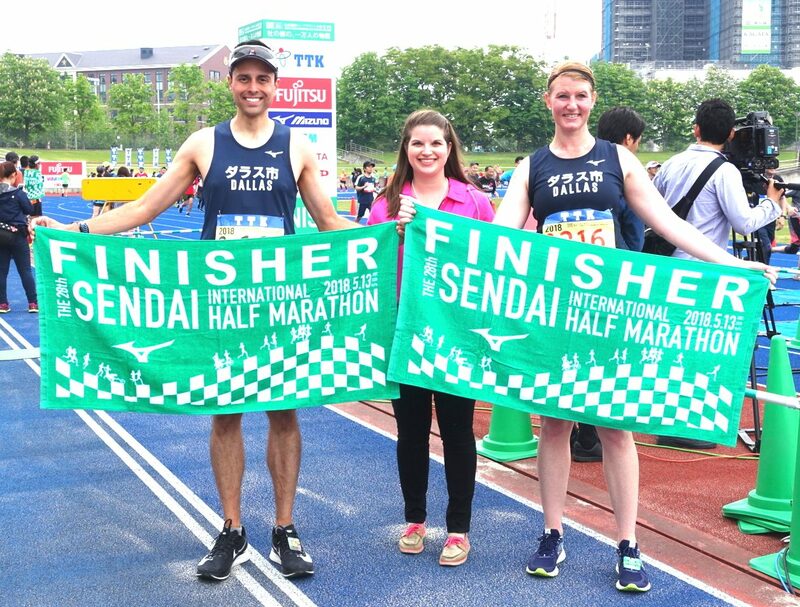 You’ll have the opportunity not only to represent your city in the race, but to tour Sendai, meet runners from around the world, and strengthen the friendship between Dallas and Sendai. 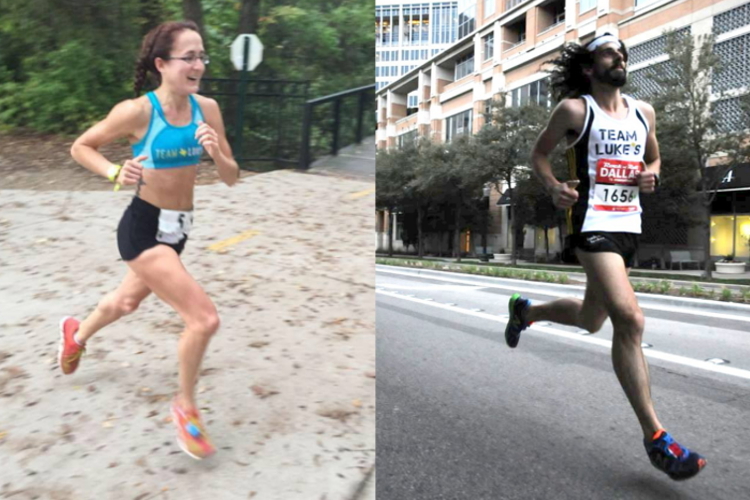 Other half marathon or marathon (split time) since March 1 of year before race. 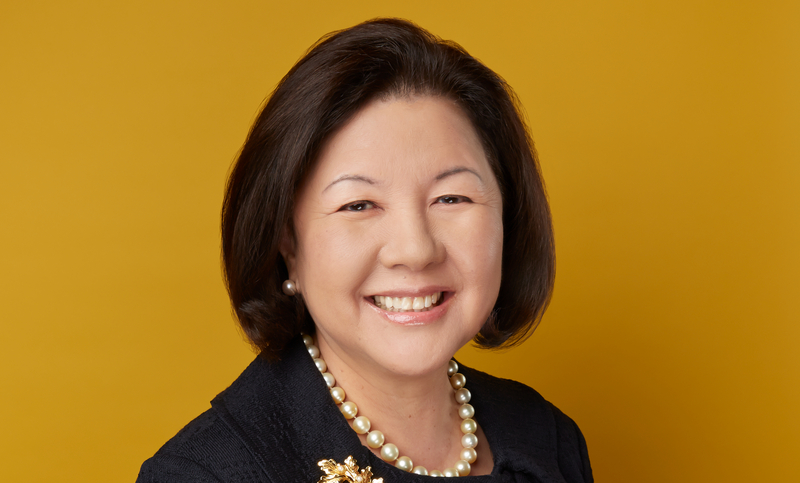 Congratulations to Ingrid Mollenkopf and Jason Trevino, who will represent the City of Dallas in Sendai on May 14, 2017!